Woodworking husband-and-wife duo Andrea Brugi and Samina Langholz invite you into their magical world, where their Scandinavian sensibility for clean design is balanced with organic and aged imperfection inspired by their Tuscan home. 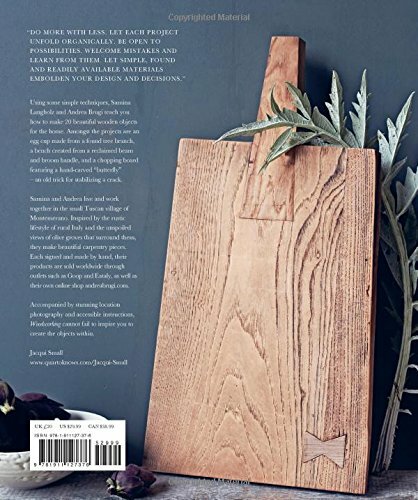 Discover some of their key woodworking techniques through twenty simple projects for useful and decorative objects for the home—from cutting boards and simple doorstops to benches and dining tables. 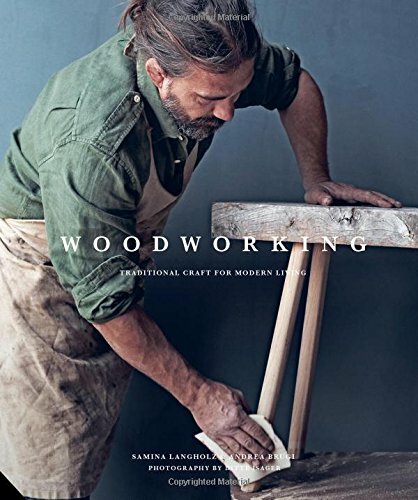 With striking photography, step-by-step instructions, and information on the types of wood and tools required for each project, you’ll have everything you need to start handcrafting your own woodworking masterpieces that celebrate the beauty of uniqueness and combine modern design with rustic warmth.